I found a pair of these. Lightolier! And was that a copper finish? It was! It is! I also left the original candle covers. They look their age…but nicely. We purchased a 1900 era home in St. Joe MO. and a couple of my sconces survived but many are missing. 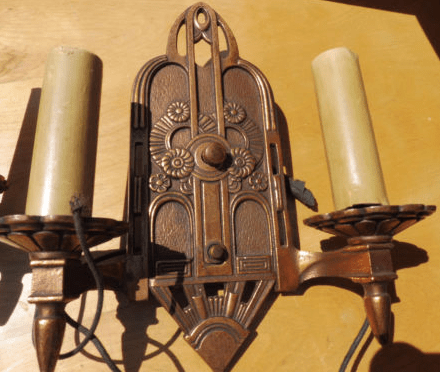 Do you sell the sconces you restore or are they all for the restoring Cross House project? 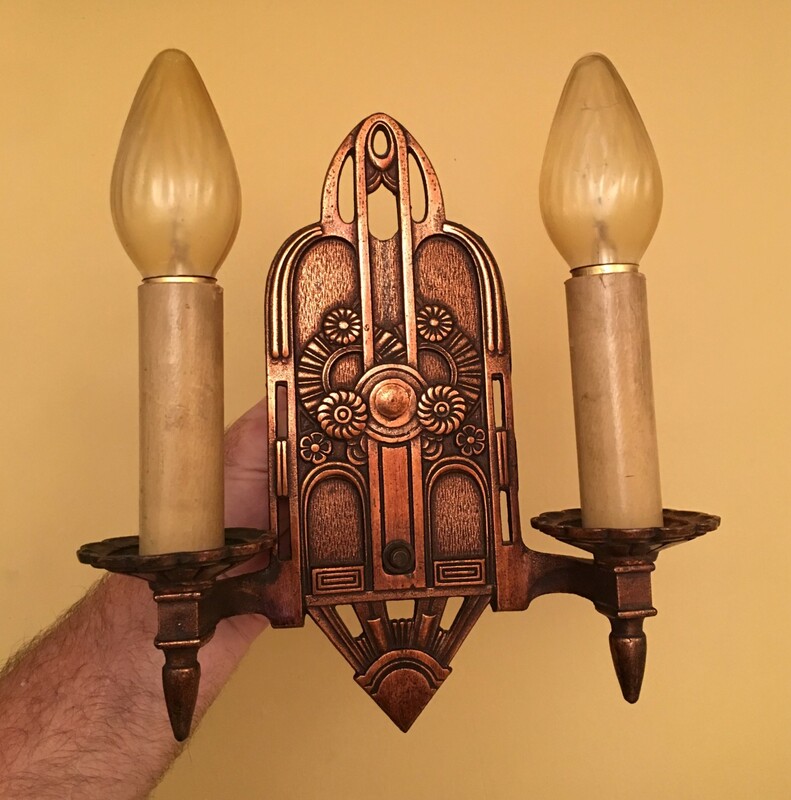 Here is a link to the sconces I am trying to match. Notice the milk glass shades! All the lighting I post about is for sale. Your sconce is GORGEOUS! The opalescent shades are stunning! Alas, I have no matchings sconces. No worries, these are in the upstairs hall. I want to replace the bright brass Ace hardware/Westlake style that has replaced the missing sconces in other rooms. Is that a former gas knob below the center fixture? It looks like a thumb screw to turn on or off the gas flow to the center candle. Check out this fixture! It was in but removed from the Westheimer home down the street from our house. The Westheimer’s were Whiskey barons in St, Joseph and the story of the light fixture is that it was a gift from the Bacardi family. Oh! You mean your fixture! Yes, that is a gas valve.